Virtual reality technologies takes us closer to the action than ever before, bringing us face-to-face with some of the most vital issues and stories in the world today. For the first time at the festival, we are proud to present the HIFF VR Lounge, bringing together a selection of exciting contemporary VR projects from around the world to SALT at Our Kakaako. Held at The Barn at SALT at our Kakaako over the Veteran’s Day weekend from Saturday November 10 to Monday November 12, We’ve also selected some of 2018’s best VR experiences from around the world. All of our projects are family-friendly. An old, down on his luck sailor rescues a young girl lost at sea, but in the process begins to question his place in the world. The latest work from the director of Academy Award-winning animated short PAPERMAN, AGE OF SAIL is a visually-extraordinary snapshot of life at sea. A companion piece to the CHASING CORAL documentary feature screened at HIFF 2017, CHASING CORAL VR follows ‘coral nerd’ Zackery Rago as he explores Lizard Island and examines the impacts of bleaching through time-lapse photography. The haka is a fearsome and impressive demonstration of strength in Maori culture. Placing us alongside a young Maori man trying to reconnect with his history and identity, FINDING HAKA brings us face to face with the terrifying wardance, but also its importance as a symbol of survival and community. Hawaii is the extinct bird capital of the world. Many native birds are endangered, but for some it's too late. The fabled ʻōʻō (songbird) was last seen in 1985. 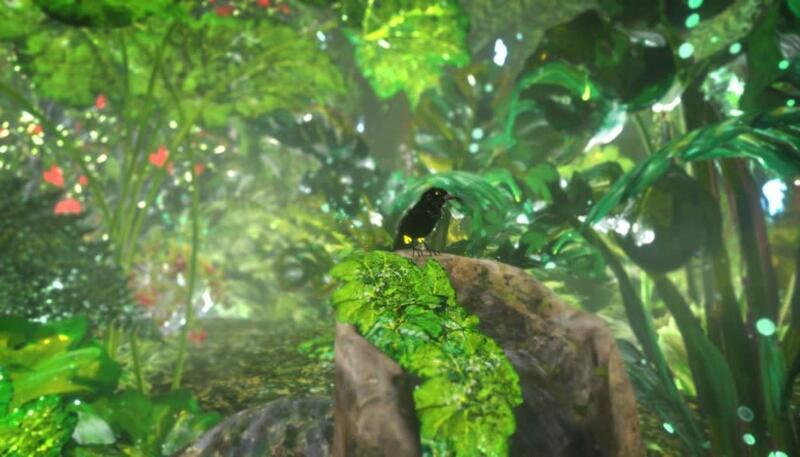 Set amid the cloud forest of Kauai, SONGBIRD takes you back in time to meet the legendary species and hear its last song. Bookings open on October 22, so make sure that you grab your spot now so that you don’t miss out! Yep, you read that last line correctly. IT’S FREE! Just make sure that you you book a spot (either online or on the day) so you don’t miss out. If you have any questions or would like to know more, check out www.hiff.org, follow us on Facebook, Twitter or Instagram, or ask one of our friendly volunteers on the day!